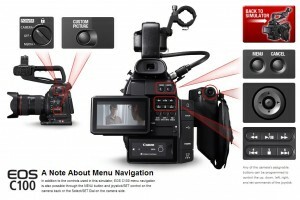 Canon C100 Auto Focus Upgrade Now Available! 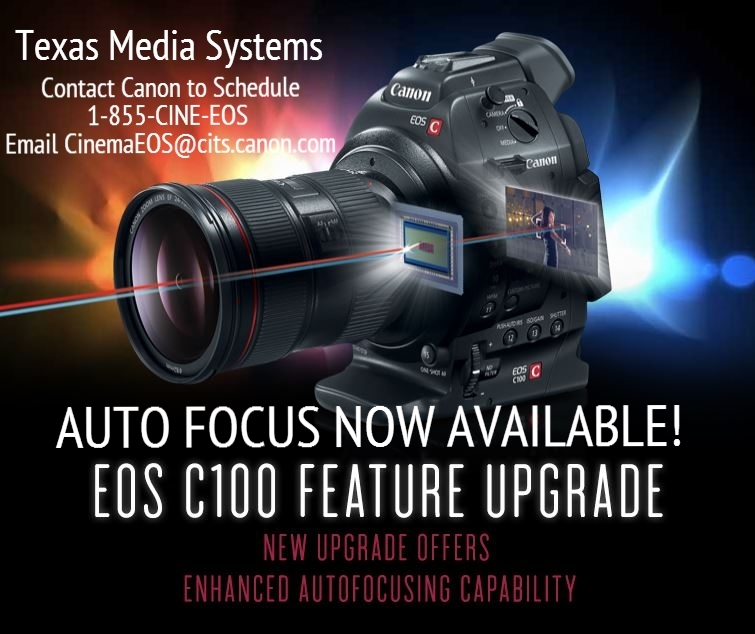 The long wait is almost over for everyone looking to add the Auto Focus Upgrade to their Canon C100 Cinema EOS Cameras. Canon USA will perform this feature upgrade at a cost of $500, and requires that EOS C100 cameras be sent to an accredited Canon service center. Shipping and handling charges also may apply. Contact a Canon Customer Support Center for details. 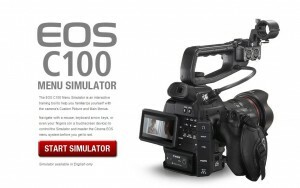 Handcrafting Unique Wedding Films with the EOS C100 Digital Video Camera from Canon Pro on Vimeo. 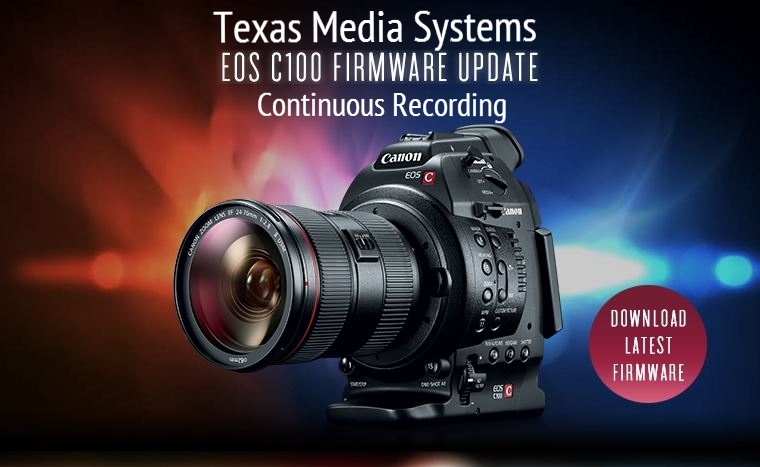 The Canon C100 Cinema EOS Camera has a new firmware update available this morning that enables Continuous Recording. 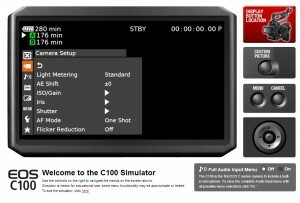 You can download the C100 Firmware from Canon USA at this link. 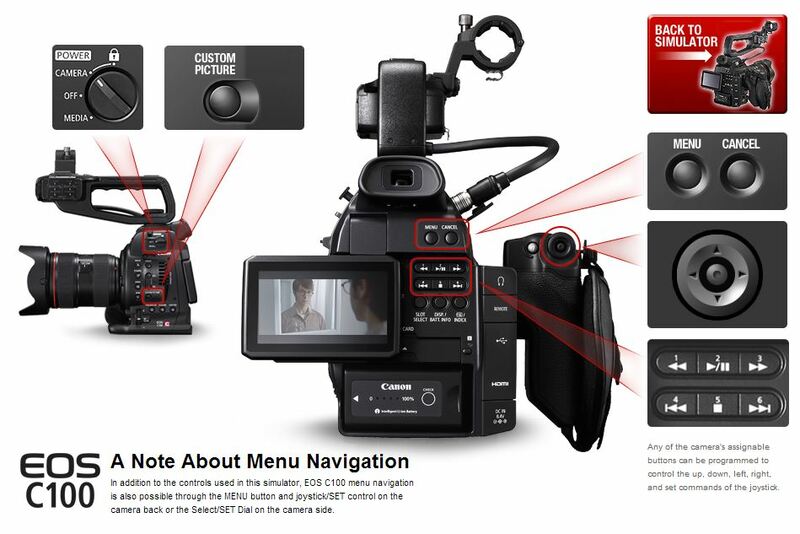 Designed for the capture of crucial, unpredictable scenes during wedding/event, documentary, news, or wildlife filming, the Continuous Recording Function firmware update for the EOS C100 Digital Video Camera enables videographers to insert metadata markers identifying crucial scenes and moments in their footage while continuously recording to the memory capacity. 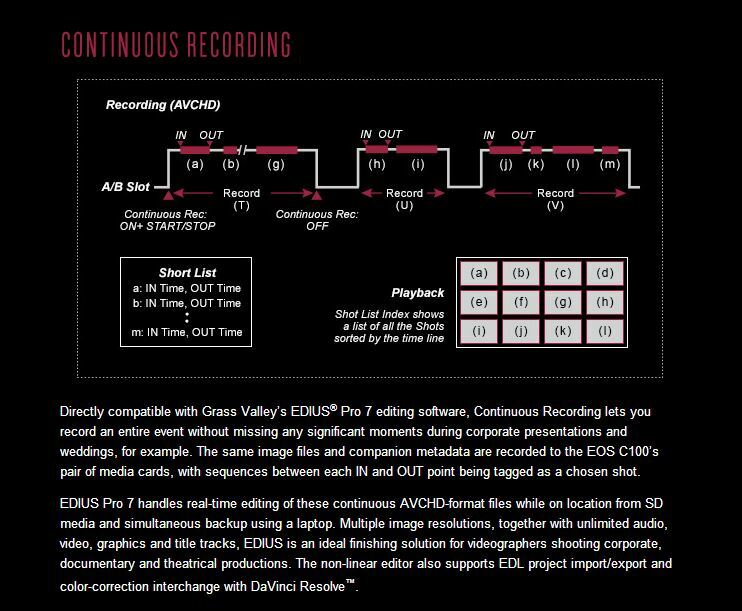 These markers — for both “in” and “out” points — can be set with the press of a button without interrupting the recording process. These markers are identified in metadata as separate “shots,” and are simultaneously recorded to both SD card slots of the EOS C100 camera. Canon announced today that the Canon C300 will get the same Auto Focus Feature Upgrade that was previously announced for the Canon C100. 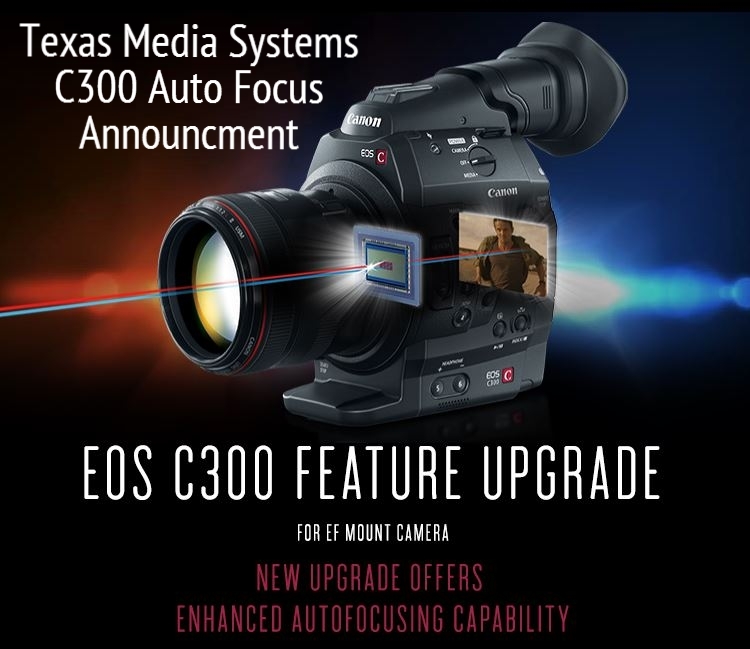 The C300 Auto Focus Upgrade is scheduled to be available late May 2014 for a fee of $500 directly through Canon. Originally introduced in the Canon EOS 70D Digital SLR camera, Canon Dual Pixel CMOS AF technology is designed to provide continuous autofocus when shooting in single operator, or run-and-gun set-ups like documentaries, weddings, events, or electronic news gathering (ENG). When used in combination with an STM lens, this technology allows for the capture of high quality video without the interruption of noise by the focusing motor. Dual Pixel CMOS AF is an innovative image-plane phase-detection AF technology that employs a CMOS sensor on which all of the effective pixels are able to perform both imaging and phase-detection AF simultaneously. Although camera operators can still focus manually, this new optional feature upgrade can enable smooth continuous AF with phase detection, a particularly useful feature when shooting with a small crew or single-operator run-and-gun filming and cinéma vérité style shoots. 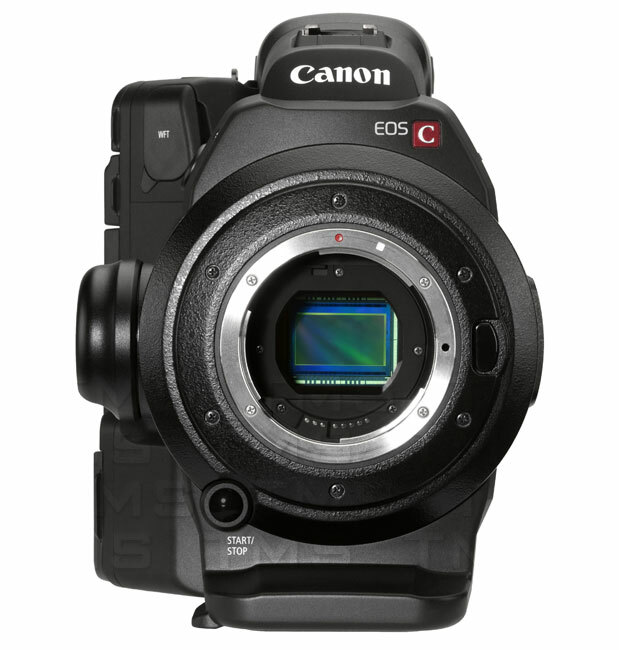 The optional Dual Pixel CMOS AF feature upgrade for the EOS C300 Cinema camera supports continuous AF with all compatible Canon EF series lenses when shooting subjects positioned in the center of the imaging area. The technology involves complementary use of a contrast signal to achieve advanced autofocus stability that helps reduce the occurrence of loss of focus on a subject. Also included is an AF Lock which allows users to lock a focus point once AF is achieved and recompose the shot. 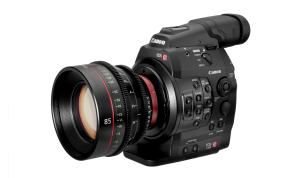 Canon Dual Pixel CMOS AF also nearly doubles the speed of the EOS C300 Cinema camera’s One-Shot AF function, which enables a DP to focus on a subject located at the center of the screen with the push of a button, a feature that is currently supported on 104 Canon EF lens models. The Dual Pixel CMOS AF feature upgrade for the EOS C300 Cinema camera will be made available to users through an authorized Canon service center. 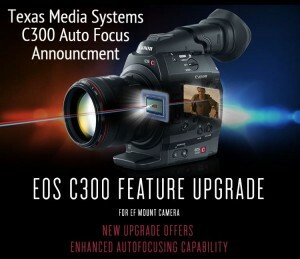 For more information please visit the Canon U.S.A. website at http://pro.usa.canon.com/EOSC300FeatureUpgrade. Canon released a new Canon C100 Menu Simulator Tool that allows you to navigate and learn the C100 camera menus without having the camera in hand. This should be a great reference tool for renters, freelancers, and potential C100 buyers. 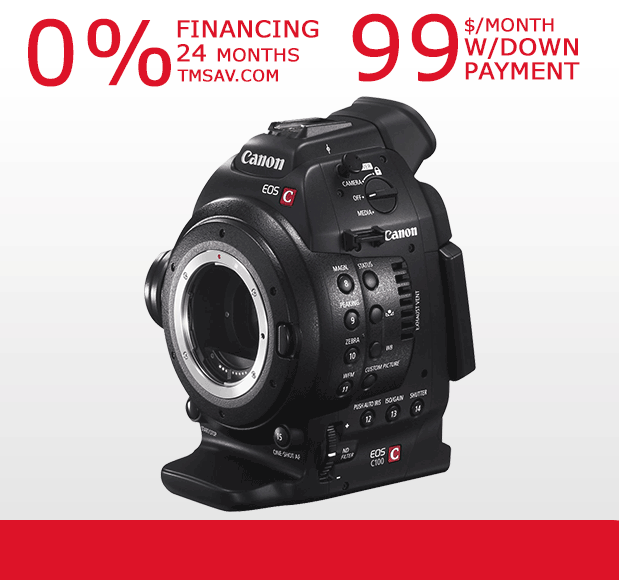 This is a another solid reason why the C100 is the most popular camcorder sold at its price point. 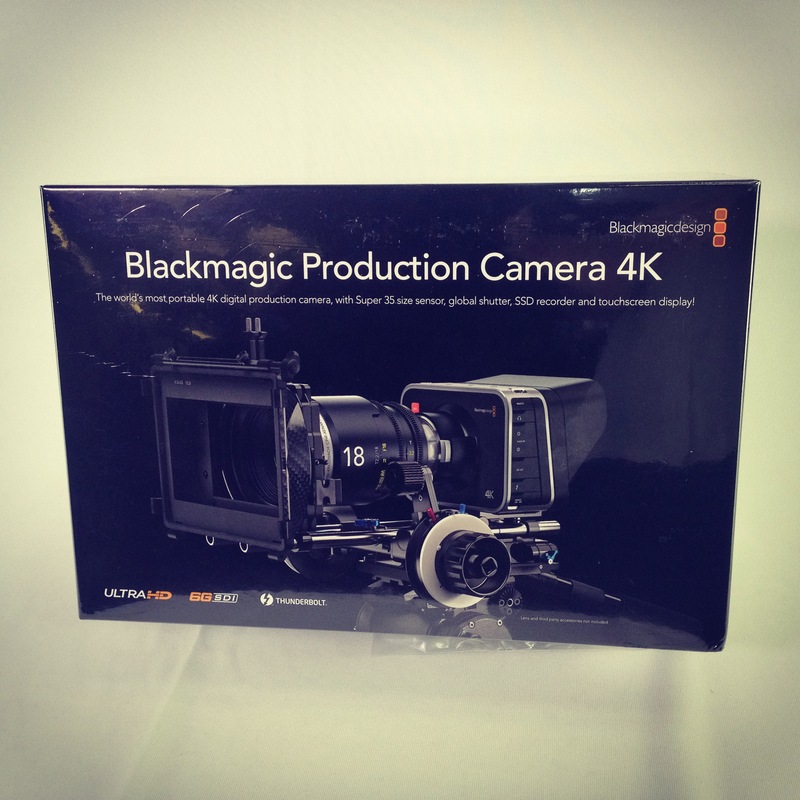 Blackmagic 4K Production Cameras have started to arrive at Texas Media Systems. 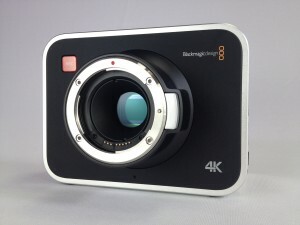 Thanks to Tim at Projection Films for letting us take a couple of pictures of his new camera before we shipped it out! 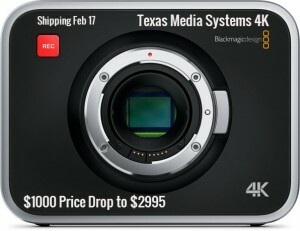 Pre-order online for $2995 at Texas Media Systems. Televisual just announced the results of their 2013 survey of UK based rental houses. The Canon C300 came in at #1 with the Arri Alexa coming at at #2. At Texas Media Systems, we are not surprised at the survey results. 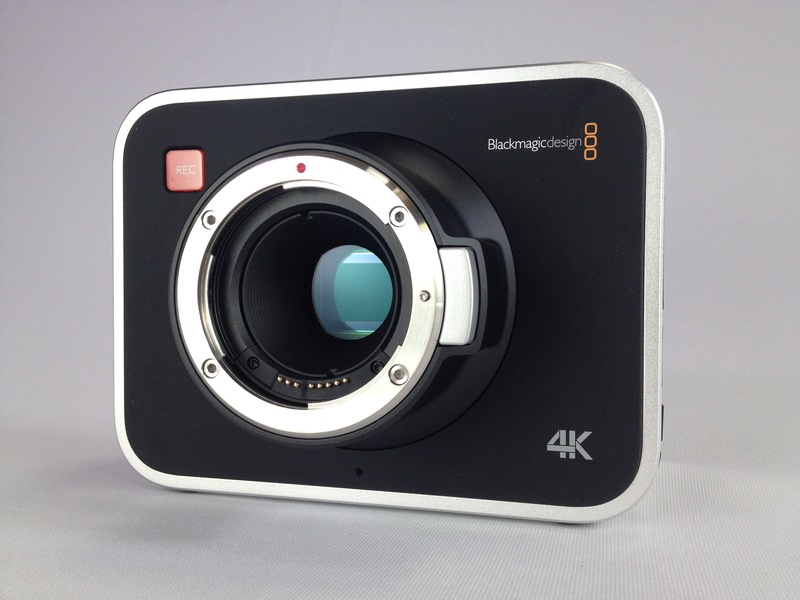 Rental houses are often early buyers of the latest and greatest cameras. The C300 continues to be a strong seller to the rental house market, proving growing demand by rental customers. Check out the full article in the March issue of Televisual. 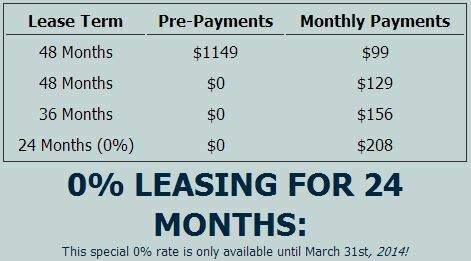 0% $1 Buyout $0 Down Lease available for 24 Month term available through Canon Financial Services. 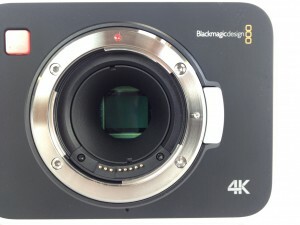 Blackmagic responded to the Panasonic GH4 announcement with a price drop of their 4k camera and news that their 4K camera has started to ship. Texas Media Systems expects to see our first Blackmagic 4K camera arrive next week. You can place a pre-order online here on our website. We’ll bill your credit card when we have a camera to ship. 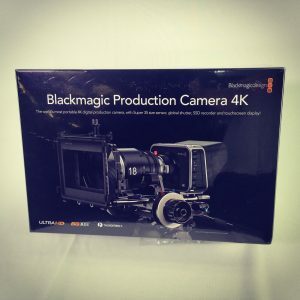 Its an exciting time to be a camera buyer. 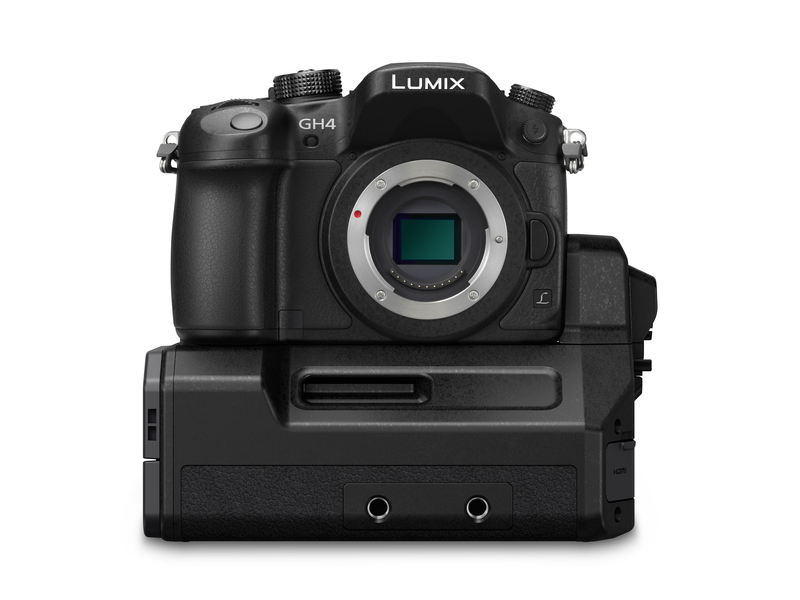 Panasonic GH4 4K Camera Announced! 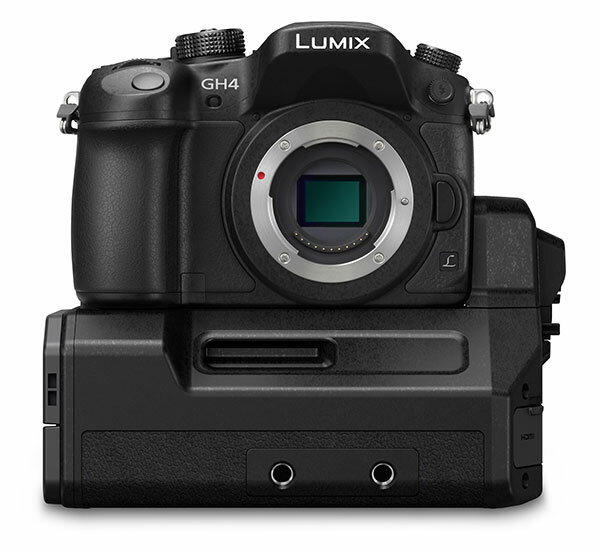 *For a digital single lens mirrorless camera as of February 7, 2014.